One day/one park tickets to Disneyland are $76 for adults, and $68 for kids 3-9. Purchase a 2-Day 1-Park per Day Ticket and visit either Disneyland Park or Disney California Adventure Park each day for two days. This ticket is not valid for visits to both theme parks on the same day. Tickets may only be purchased between January 2, 2011 and April 14, 2011. Valid through May 14, 2011. Parking is $15 a day. TIP: Use this ticket as a stepping stone to an annual pass, use this pass on any two days you want then use the $99 towards an upgrade at the end of your second day. Enjoy 170 pre-selected days [weekdays only] of admission to both Disneyland Resort Theme Parks. Add another $99 a year for a parking pass otherwise parking is $15 a day. TIP: Even though the pass is only good on weekdays, the first day if purchased at the park is up to you, go on a weekend the first day. 4 days of admission to both Disneyland® Park and Disney’s California Adventure® Park, including visits to both Parks on the same day. $50 Disney Gift Card. Available for Southern California Residents residing in Zip codes 90000-93599. Proof of residency required upon admission. Use all 4 visits by May 31, 2011. Parking is $15 a day. Purchase at Costco. TIP: Use this ticket as a stepping stone to an annual pass, use this pass on any four days you want then use the $151 credit (less the gift card) towards an upgrade at the end of your fourth day. Use the gift cards to buy the $99 ticket for a family member. You might be able to use the gift cards to pay for parking. To make the most of your days at Disneyland plan to arrive at the gates 40 minutes before the park opens. Disneyland and California Adventure allow guests in 30 minutes before the parks officially open and you'll get a head start and be closer to the rides when the park does open. We once enjoyed 9 rides in the first hour and half of the park opening! 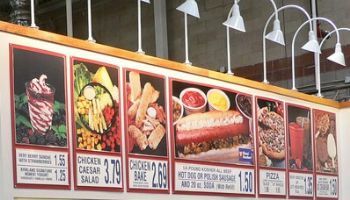 If you are on the west side of town stop by Costco: Commerce (Washington at the 5 Freeway) to load up on food on your way to or from the park. Costco's awesome churros are $1.10 compared to Disney's $3.75! The food court is open until 6pm and closed Sundays. The food court is accessible from outside of the building so no membership is necessary!